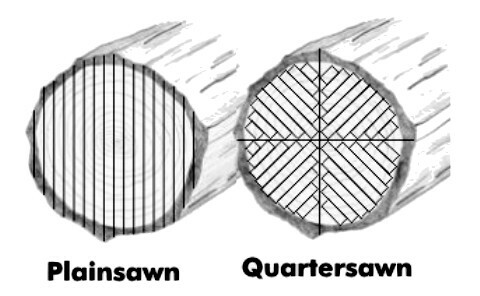 What is Quarter Sawn Wood? Did you know that the shape of the grain on a piece of wood can be controlled by the way the boards are cut? If you make a conscious, careful choice about the boards you use in your home, you can get just the look you want. Quarter sawn boards, on the other hand, are cut at a 90 degree angle to the center of the log. So, each quarter of the log is cut into boards. This results in more waste, which makes boards cut this way more expensive. However, it also creates a completely different look to the boards which many people find desirable. As you can see, the grain is much straighter. Using quarter sawn wood eliminates the cathedral grain that many folks dislike in plain sawn oak. Quarter sawn oak is also used in furniture making. 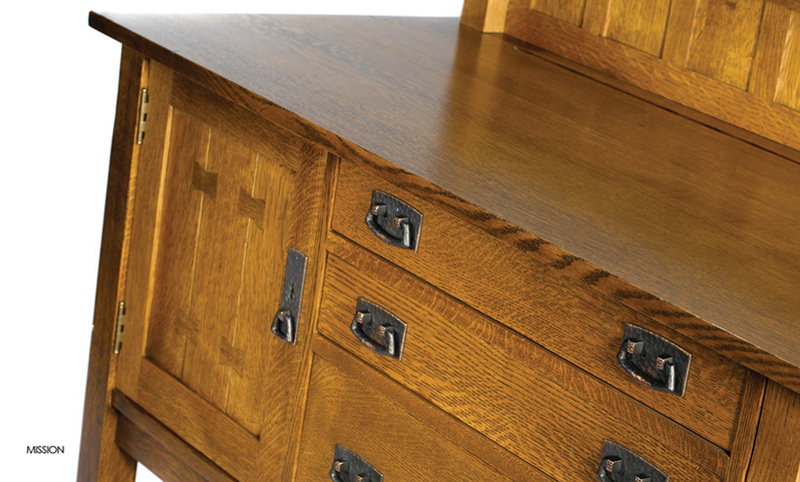 Mission style furniture, such as the pieces made by Stickley, features quarter sawn oak. The simple grain pattern fits the philosophy of the Arts and Crafts movement, which strove to simplify the elaborate ornament of the Victorian era. Depending on the look you prefer, you can specify that your new cabinetry, doors and trim be made in either quarter sawn or plain sawn wood. Be prepared to pay more for the quarter sawn variety. 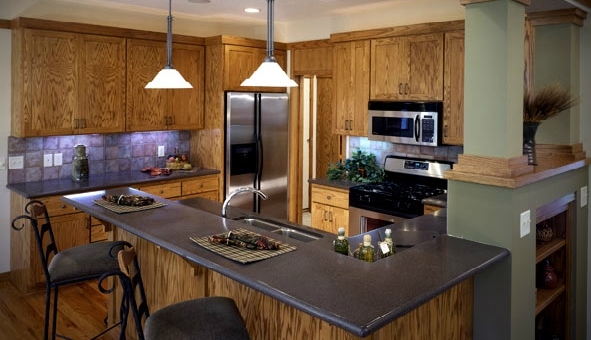 To save on the cost of the overall project, you can also consider using plain sawn lumber on your trim and/or doors, while using quarter sawn wood for your cabinetry. 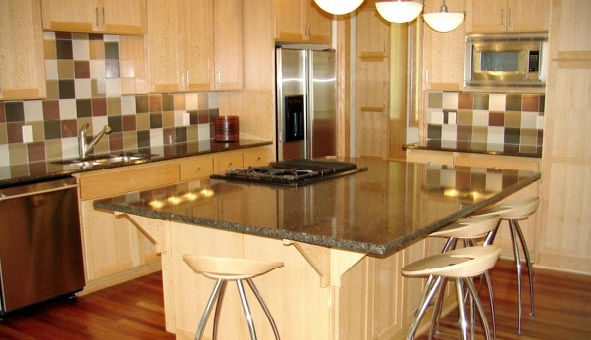 If you keep the wood species and stain color consistent, the change in grain pattern will be less noticeable.